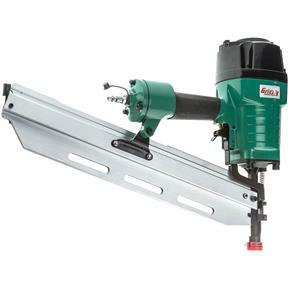 This 21 Degree Round Head Framing Nailer features an easy-view magazine (lets you see when the stick is almost gone), removable soft nose guard, rubberized hand grip, and safety trigger. I needed this to build a storage building, worked great, a little heavy but ok. Never had a miss fire or any problems. 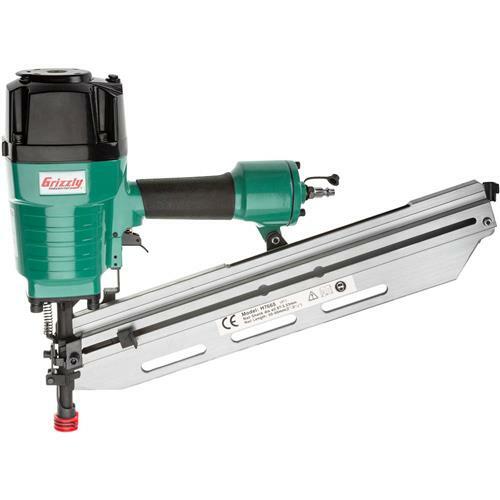 I have had this nailer for a while now, and used it on a couple of projects/jobs. It works fine, as long as you maintain it well. The only problem I have had, and continues to persist is that the drive guide pin fell out on the first job it was used on, framing a 2000+/- sq/ft basement. The replacement did the same. I found that clipping a framing nail short, and bending the end to keep it in place works better than the pin that is used by the manufacturer. I run a very small carpentry outfit, and it serves my purposes fairly well. I would recommend this to anyone who isn't going to be using it heavily. 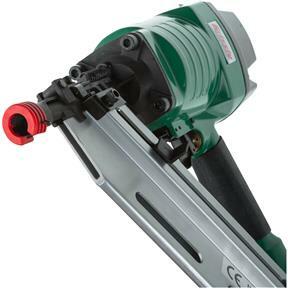 I would also consider some of the other nailers available from Grizzly. The higher priced ones might be better for heavy use. I bought this for general purpose homeowner use. Works good at half the price of other guns.